The Kings & Queens Catharina 80cm is a brand-new product for 2018 that has taken the larger Catharina 120cm cat tree and given it its own unique compact style! 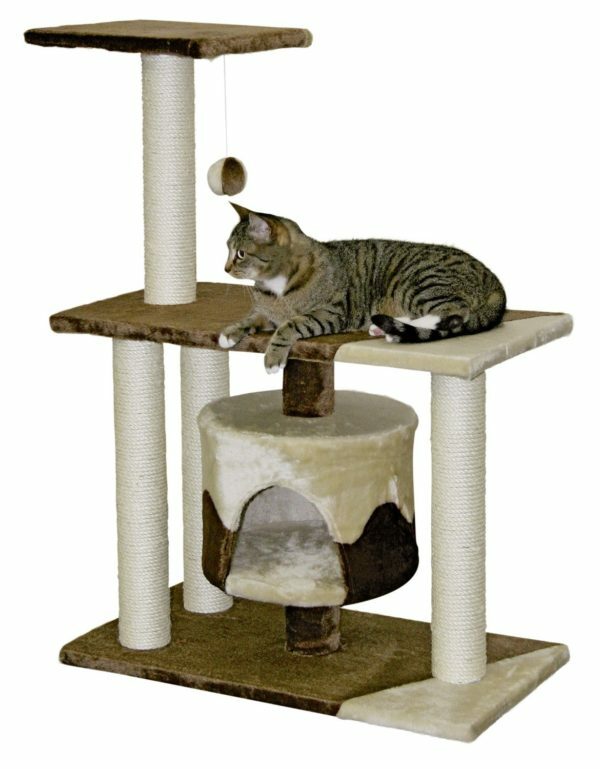 This product is absolutely puuurfect for homes that are a little tighter on the space, but would still like to have a luxury cat tree / bedding solution to cater for every possible whim of their feline friend. Size isn’t everything after all! The hanging hammock provides the most amazing sanctuary for your feline friend to escape to when they feel one of their catnaps coming along. It also provides their own little space where they can keep an eye on their surroundings and make sure that they are not missing out on any of the action. If they are feeling particularly adventurous than they can always perch on the penthouse platform which gives another vantage point as well. The ground floor kitty condo provides additional privacy and is also great if you have multiple felines so that they can all make use of this fantastic, stylish, and incredibly practical cat tree. This is an incredibly high quality product that is also robust and made to last!